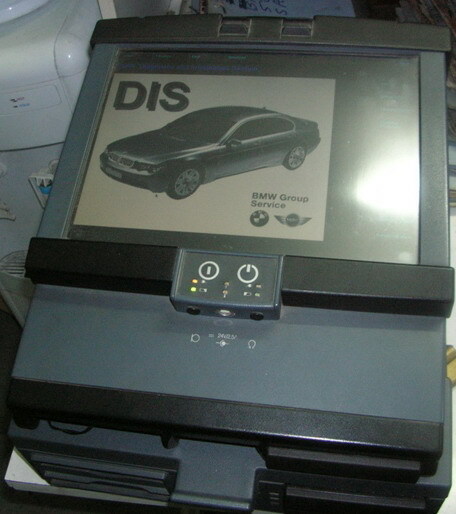 This diagnostic equipment is manufactured by Seimens as a part of their SDIS Diagnostic and Information System. This is the most complete system tester for BMW's. It reads and resets faults, reads component values, triggers components (actuator test), substitutes values, identifies computer hardware and software, performs coding and programs computers. It is also integrated into the service writers program and the parts department ordering programs. It covers all systems found in the car that can be accessed by electronic means. New versions have a satelite uplink for updating information and programs.